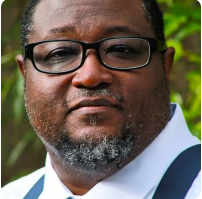 Dr. Will Deyamport, III is an innovative thought leader in connected education, leading the design and implementation of collaborative initiatives in support of teaching, learning, and professional development. His research is in the andragogical challenges affecting the adoption of new learning environments and technologies, as well as how such technologies can be used by educators to individualize their professional development. Dr. Will is a frequent presenter at conferences, guest lecturer, and regularly blogs and produces online content focused on the educational uses of web tools and social technologies. He is an alumnus of Capella University, where he earned his Doctor of Education (Ed.D.) in Educational Leadership and Management. I started this blog in 2009 to happy new year wishes assist adults in improving both their personal and professional lives. happy new year 2014 wishes Since then the blog has evolved to focus on the educational applications of digital media.